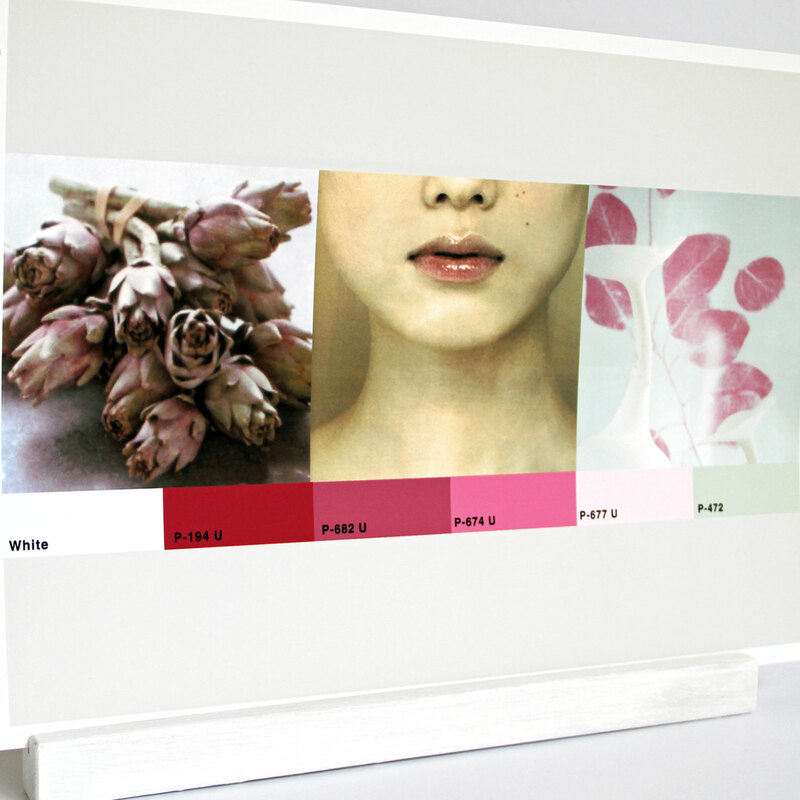 A3 sized paper mood board and several textile designs. This theme SKIN is created with several shades of pink, beige and crisp white. 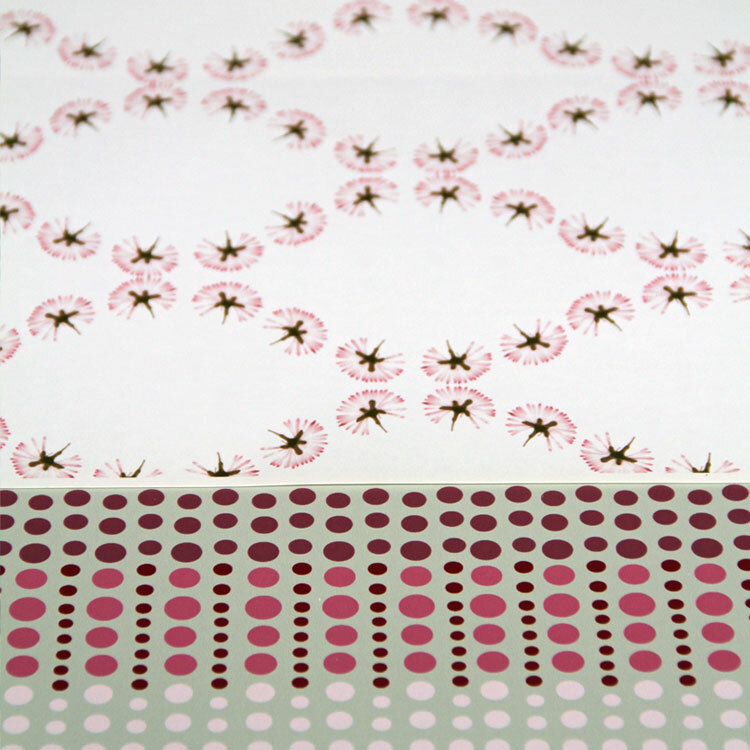 The textile designs contain delicate flowers and tiny circles.